Making things that stand the test of time is a core value for this Upper Beaconsfield son of an Italian immigrant. Tony Fraraccio would blush to the roots of his short red beard if you suggested he was a Renaissance man, but the cap seems to fit. 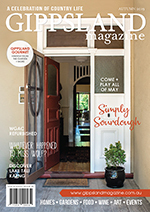 The quietly spoken bloke in the dusty overalls travels around Melbourne, Gippsland and the Yarra Ranges building mud brick and straw bale houses and wood fired ovens and stone chimneys, with a bit of concreting, tiling and stonemasonry in between. He writes songs, plays classical guitar, the mandolin, double bass and violin, paints portraits in oils, and likes reading and a good bottle of red. And although he’s “getting on a bit”, he thinks in the future he might apply for his commercial builder’s licence and build “unusual houses”. 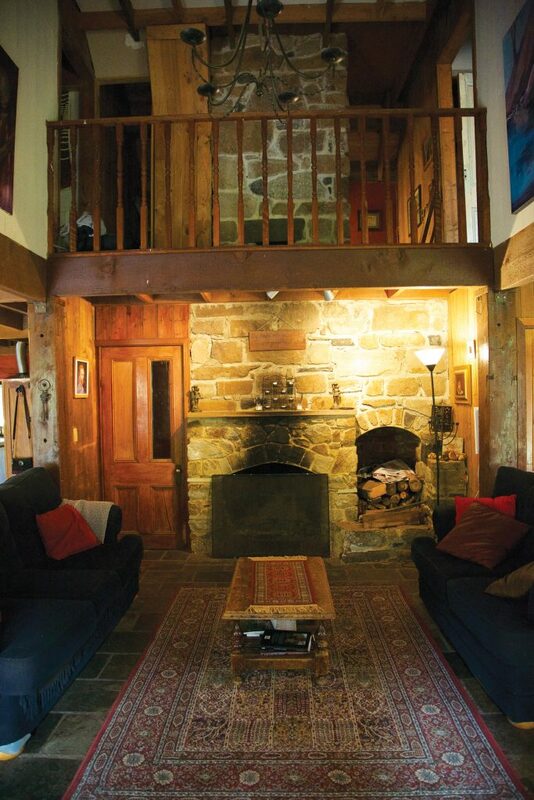 This son of an Italian prisoner of war lives in Upper Beaconsfield with his wife Theresa and four adult children in a remarkable three-storey mud brick home he built from local clay. It’s been an interesting journey from his childhood in Croydon in the 1950s, where his Dad was a concreter for the council and Italians were in the minority. Being a small red-headed Italian boy, Tony quickly learned how to fight. And build. Tony’s father, Domenic, was captured in January 1941 in the first Australian battle of World War II, in the Libyan desert where 36,000 Italian soldiers were taken prisoner. He was shipped to Australia, to prisoner of war camps at Cowra and Hay in NSW and Murchison in northern Victoria, before ending up in a low-security camp at Foster, where he worked on local vegetable farms. After the war ended, Domenic returned to his tiny village in central Italy. Later he was sponsored by a Foster farmer to return to Australia, where he saved enough money to bring his wife and Tony’s infant sister out too. Domenic didn’t say much about his wartime experiences and died when Tony was 19. “I regret those lost years in a way,” Tony said wistfully, “but as a young kid you don’t pick up on history.” Tony’s mother also died when he was still a teenager. He remembers she was a typically strong and independent Italian woman, cooking and preserving as well as keeping the books and making do with little. At the age of 15 Tony decided to take on a mechanic’s apprenticeship, but he didn’t like the workshop environment or being paid a pittance, so he started concreting like his father. It was the beginning of a natural evolution. 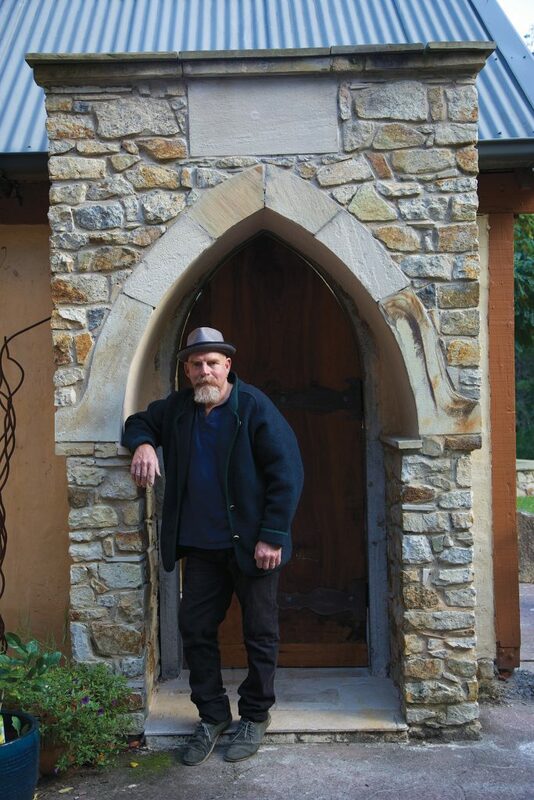 “There were a lot of mud brick ‘eccentrics’ around in the 1980s so I started doing slabs for mud brick houses, then making mud bricks and building stone chimneys,” said Tony. “I was also building my own house at the time and I was so busy I actually don’t know how I did it!” To learn he watched other tradesmen and carpenters and asked brickies how to set up the walls. He worked with other stonemasons and read as much as he could. He’s been back twice to the Abruzzi village of his father, where he found his grandfather was a bit of a builder too, partitioning his home into independent sections for each of his four children. It was on the second trip that Tony noticed a small dome-shaped oven next to the fireplace. It sparked his interest, and became yet another style of building for him to master – wood fired ovens. 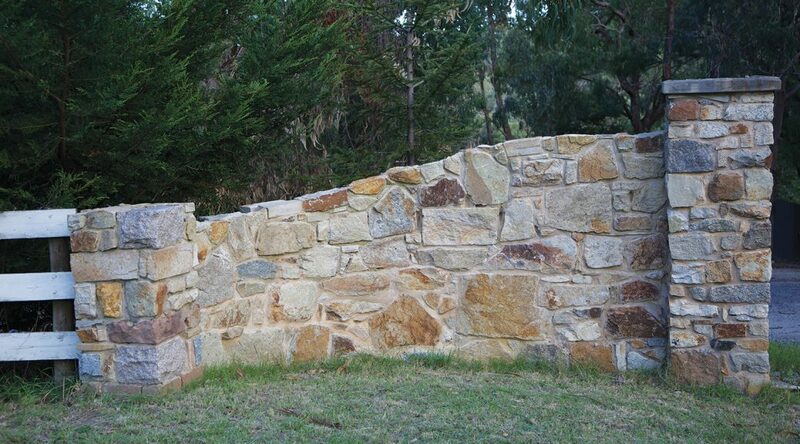 At home an Aussie mate in Carlton had made a mud brick oven to entertain his Italian friends, but Tony noticed it didn’t hold enough heat, so he set about researching materials, design and insulation. These days it’s another one of his passions, and the large creamy white limestone domes offset with rust-red bricks are proving popular with people wanting to go back to home cooking, as is Tony’s secret recipe for pizza dough. Building and music must run in the Fraraccio genes. All of his children are musicians, while Tony’s son is training to be a stonemason and one daughter is an award-winning student architect. “I’ve had a talk to her though, because architecture degrees now seem to be all based on computer modelling rather than taking into account social and practical experience,” said Tony. “In parts of Europe you have to be a tradesman first before you’re an architect, so that you have a feeling for what you’re building.” Asked to nominate his favourite piece of work, Tony pauses before suggesting a project he built as a birthday present for his wife. It’s the massive gothic arch that forms the entranceway to their home, and he says wryly that even when he’s in trouble for not finishing off various bits of the house, Theresa gives him credit for the door. It’s made from a milled piece of Ponderosa pine that he bought from a friend up near Castlemaine. Tony’s preferred material to work with is sandstone but he likes granite too. 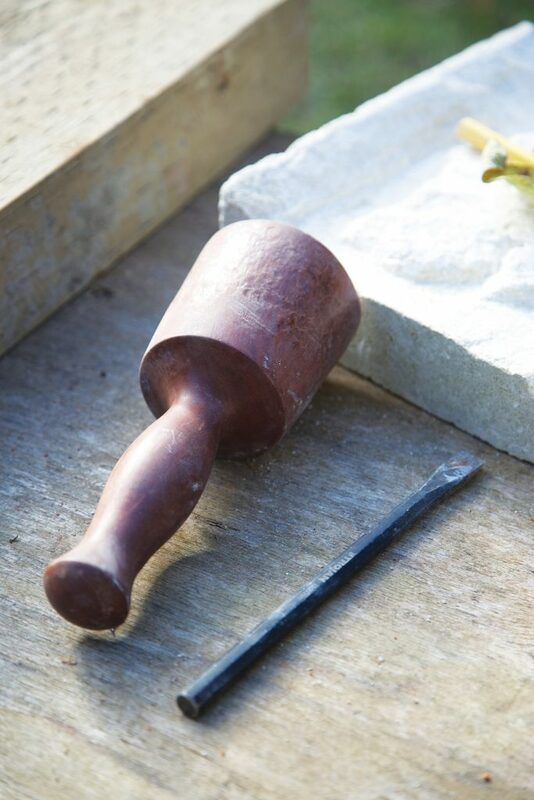 He’s currently doing a 10-week course in stone carving with Kallista artist Paul Smith, working on a relief of gumnuts and leaves in New Zealand limestone. 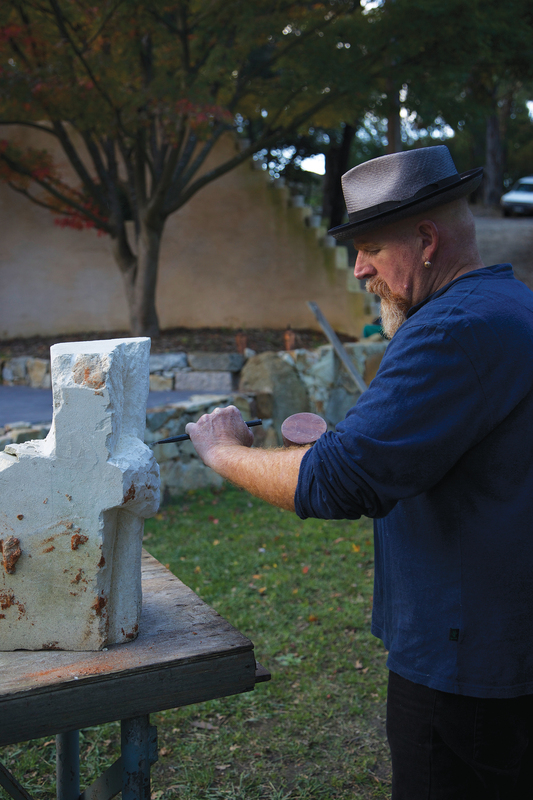 He’s been fascinated by the theory behind carving and the array of tools used for the work, which reminds him of the old Roman-style slabs of stone chiselled with battle scenes. In the future he’d like to do some drafting courses and perhaps get his builder’s licence, so that he can build unusual houses “that look okay in suburbia”. Regretfully the cost of building mud brick houses has soared, due to the requirement for double walls and the cost of carting the bricks. Tony finds straw bale building fascinating and recently completed a course in the trade with his son. He grins when he remembers the ribbing he got from a carpenter friend when he first started building in mud bricks and laying stone. “He said ‘that takes so long – why don’t you just put up a timber wall?’ but I like to build things that will stand through fire and flood.